This introductory text uses a historical and systems perspective to examine the interaction between the social science community and the law. Each chapter contains an historical or a philosophical introduction to a problem, followed by discussion of the major legal issues and reviews of a wide range of research, including the experimental literature. 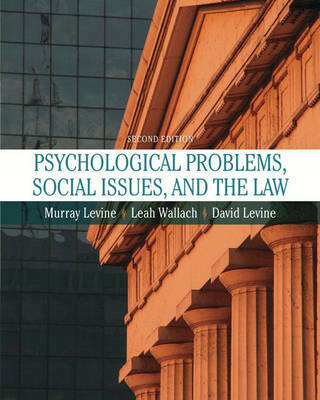 In addition to covering many topics typically covered in psychology and law texts, Levine takes a social problem emphasis, dealing with such issues as abortion, intimate partner violence, divorce and custody, child protection, and more.